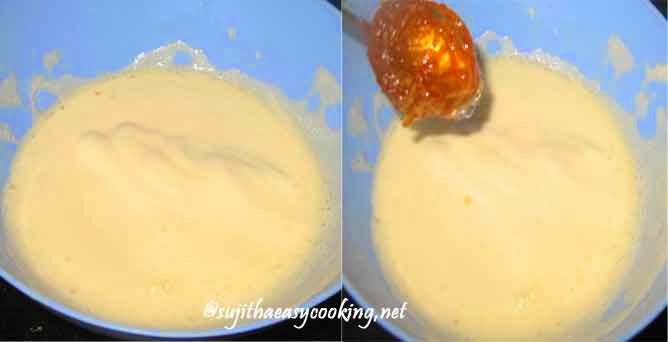 This soft moist Marmalade Pudding Cake very very light in texture.. sure kids will enjoy this of the bright color.. i tried this with olive oil.. i substitute the Butter with this.. This Month SYS-W series i got the secret ingredient as Orange.. that’s force to me do the this… once i saw a marmalad cake in Yummy Tummy Aarthi’s page.. thats impressed me to try it..
* Squeeze out the juice from orange. * Pre heat the oven in 180 C for 10 mins..
* Sieve the Flour, Baking powder, Baking Soda together. Crack the Eggs in a large mixing bowl. * Beat in high for 4-5 mins till they form a peak. Add in the Marmalade. * Add in the Sugar, beat them well to mix..
* Add in the Orange juice and Olive oil, mix them well. * Add in the Sieved Flour and gently mix them with a spatula.. add in the Orange food color and mix them. wow super moist and fantastic cake !! cOngratz for you new slr .. hoping to see some wonderful clicks !! Cake looks soft and yummy… and congrats on your DSLR.. 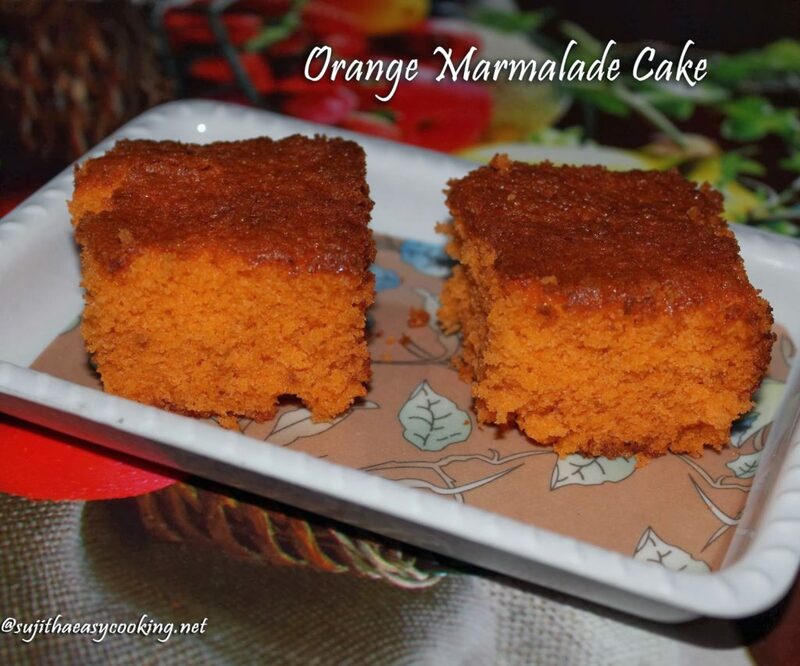 I love orange marmalade so happily I would devour this soft and yummy cake with cuppa! Delicious cake.. I can almost get the fragrance of the orange by looking at it. Can feel the happiness of using DSLR camera for the first time Suji. Thats the beautiful moments to cherish and it is like a long dream come true moment. Btw cake looks fabulous !